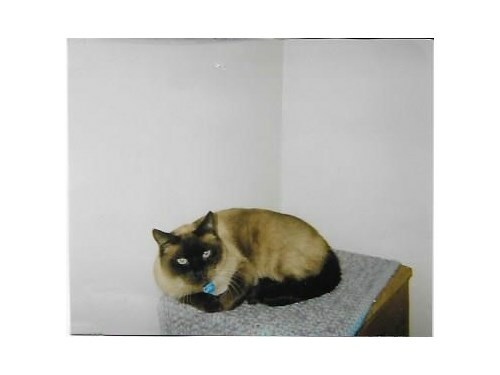 Seller Description: Have you seen my beloved Siamese cat, Napoleon, or know anyone who might have him? He has been missing since July, but I am not giving up the hope of being reunited with him. I’ve seen many stories about pets being found several months later and sometimes far away. You just never know! Napoleon is a 13-year-old neutered male short-haired Seal Point. He has very blue eyes. Medium brown body with dark brown legs, face and tail. Last seen in the vicinity of Cook & Empire around Westfall Village Apt. complex. Bemiss / Hillyard area. I have always felt that someone could have possibly taken Napoleon, so he could be anywhere. He would not just run away. After all, he’d been with me for 13 years! So, if you know of any cats that fit his description, WHEREVER you are, PLEASE contact me! My phone number is 509-263-0727. Thank you for any help or tips.